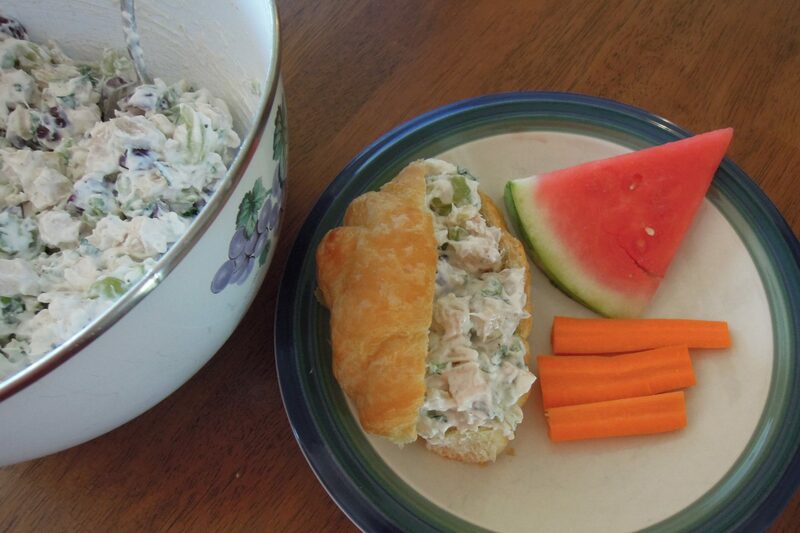 I love this chicken salad! 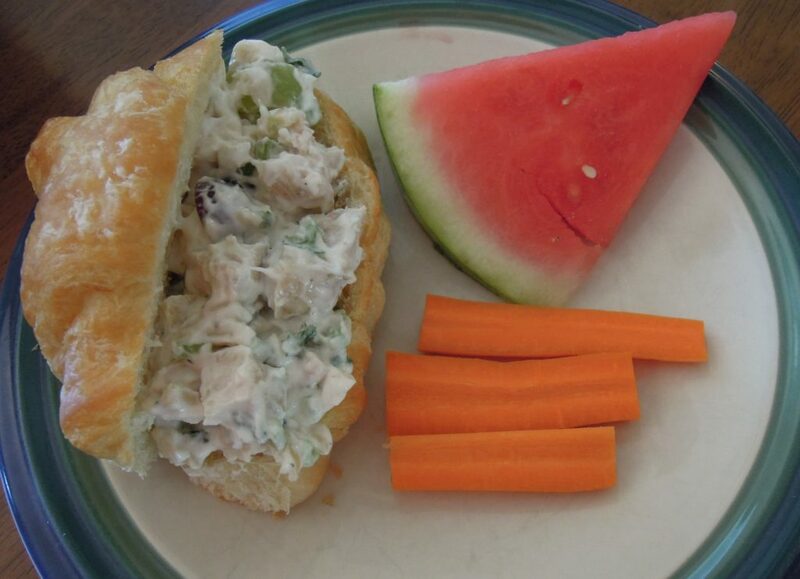 It is creamy and crunchy and cool and refreshing and exactly the flavor profile I like in chicken salad. It always seems like just the right sort of thing for a spring or summer lunch or brunch. Serve it on a croissant, and it is even better. Just recently, I ate at a fancy schmancy sidewalk cafe. It was one of those places where I have to ask what half of the menu items are, and I think I don’t really belong there. After decoding the menu, I decided to order the chicken salad on a croissant. (I spied a croissant on someone else’s table that looked fabulous.) Based on the prices and all of the fancy words on the menu, I expected my sandwich to be amazing. 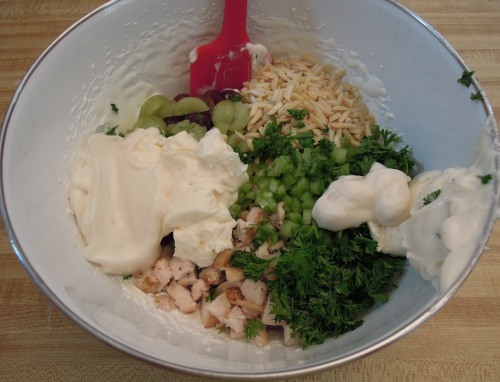 *The whipped cream adds a wonderful creaminess to the salad and lessens the mayo taste a bit. Though Cool Whip is sweeter and not quite the same, I have sometimes substituted with it, and it has been great too. **For the cooked chicken, I follow this method for oven roasting my chicken with olive oil, salt, and pepper. 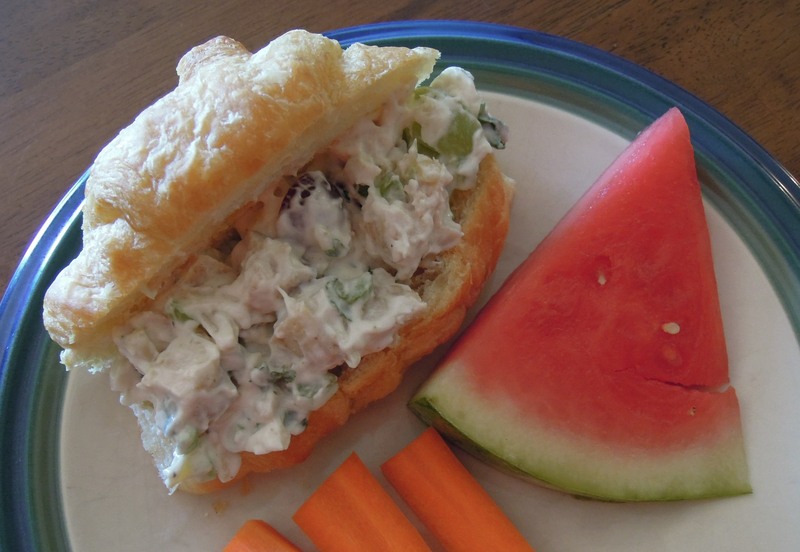 You can also use leftover rotisserie chicken or even canned chicken. If your chicken is not seasoned in some way, you may want to add more seasoning to the salad. optional: Depending on how your chicken was seasoned, you may want to add pepper and other spices to taste. Many recommend a sprinkle of cayenne for some kick. Alterations: You may choose to vary the nuts to your preference. 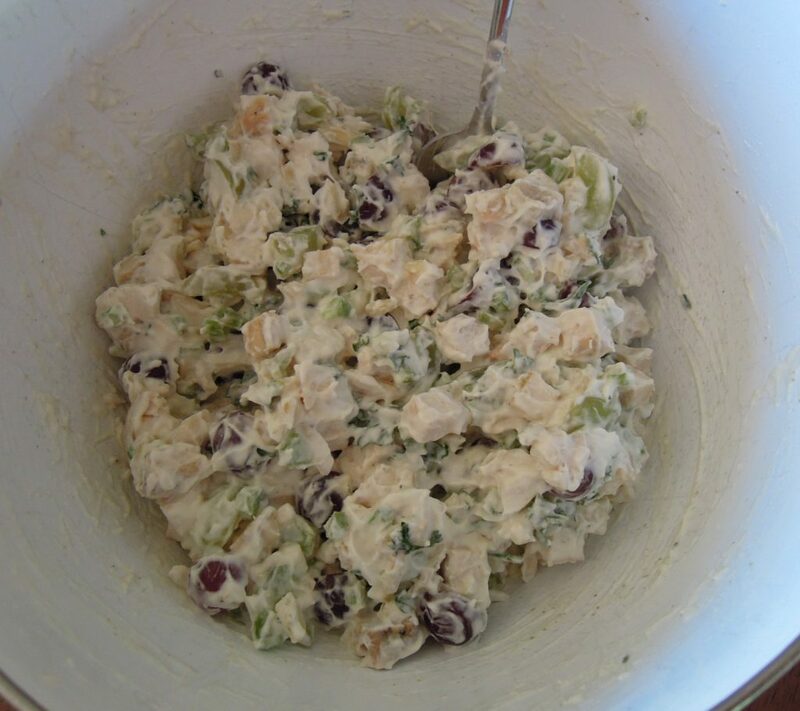 You could substitute diced apple for the grapes or for part of the grapes. In the fall, it is tasty to substitute craisins for the grapes. 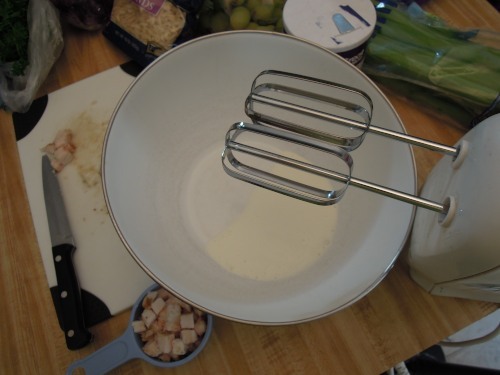 Whip cream to soft peaks in a medium-large bowl. 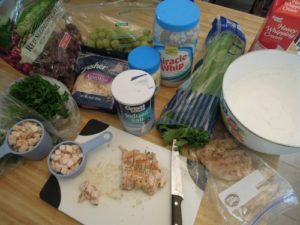 Add all ingredients to whipped cream and stir to combine. Chill for at least an hour to meld flavors and cool the salad. 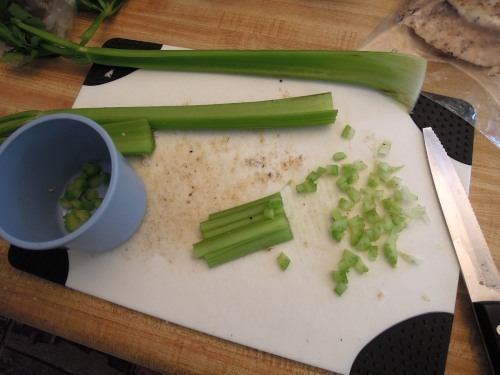 Serve on croissants, pita pockets, bread, leaf lettuce, or just eat it with a spoon. Leftover salad will keep for a few days, but it may get runny. Just drain off extra liquid, and it should taste fine.